Singapore has historically been a world leader in wireless communications but, in 2019, the country’s operators are facing change at a nearly unprecedented rate . The industry, which has already been disrupted by the recent entry of cheaper MVNO challengers, will have to contend with the launch of a fourth mobile network operator, a growing appetite for data-hungry streaming media, and -- last but not least -- the deployment of 5G networks. 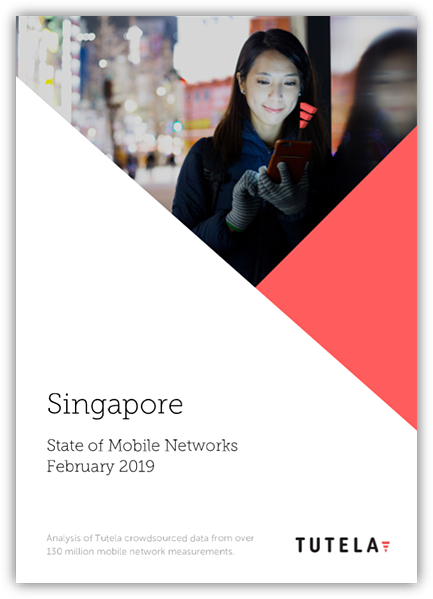 Tutela, a crowdsourced network data company, has evaluated over 130 million records, including 234,077 download speed tests, collected between the 19th October 2018 and 16th January 2019, to produce its 2019 report on the state of Singapore’s network. Tutela collects network and device data from millions of mobile device owners every day. This is used to analyze which carriers reliably provide fast enough speeds to perform routine mobile tasks, like streaming a video on YouTube or using Google Maps.